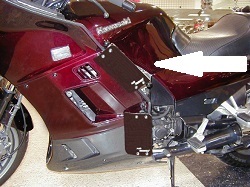 Adjustable to direct or deflect air away or towards the rider and co-rider. Greatly reduces wind and rain when closed in wet and cold weather. Deflectors available in acrylic and scratch resistant.